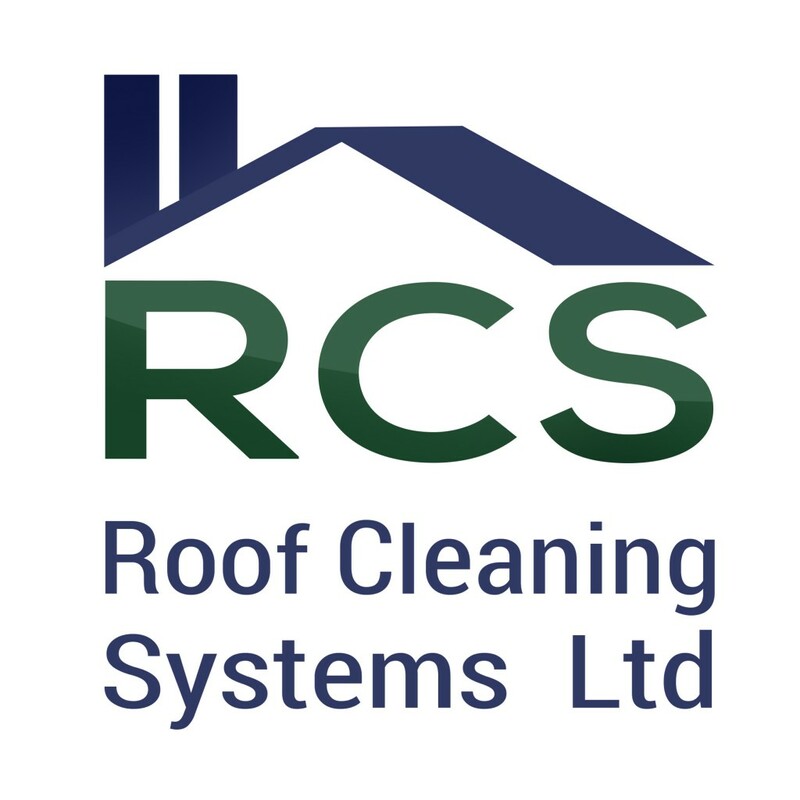 We manufacture and supply a full range of products and accessories. The SAFESTRIP SYSTEM has been pioneered from hands on experience of asbestos removal and is the only fully controllable, deep penetration, fine needle automatic injection system available on the market. 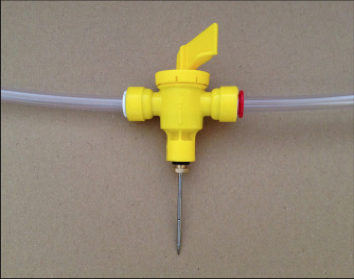 Injector units from 50mm (2”) up to 300mm (12”) long can be supplied for injection into friable pipe lagging, tank boiler insulation etc longer needles are used for wetting sprayed friable coating (flock). We can supply needles that are interchangeable with the control valves, by the use of a push in fitting. For use between 0°C and 80°C. The original custom made wetting fluid was made by BP chemicals in the early 1980’s. 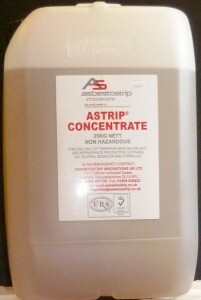 Asbestostrip aquired the name and refined the composition to make it into the outstanding product that it is today. 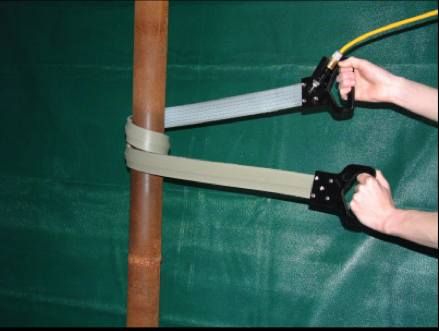 It can be used on live pipe work at ambient temperatures and is used throughout the world in power plants, hospitals, chemical plants oil refineries, factories and many public buildings. 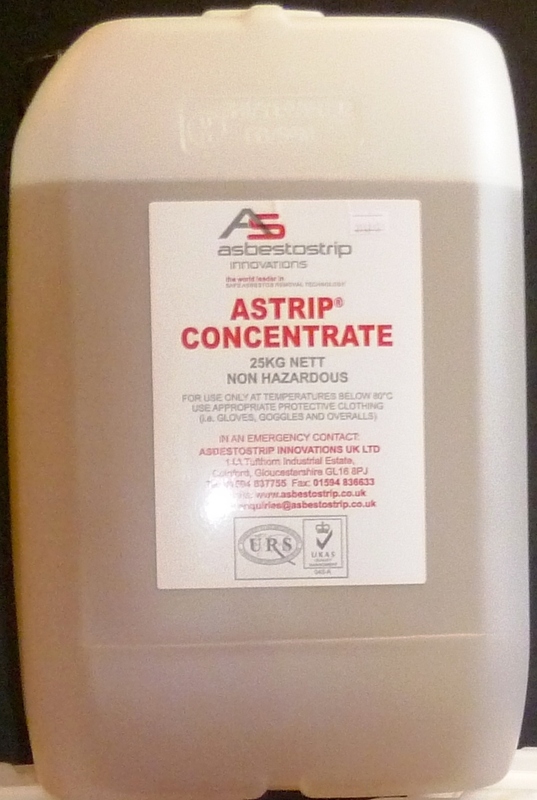 Extensive independent testing proves ASTRIP is the most advanced wetting agent available. Specialist fluids are available for temperatures down to – 18°C and up to 240°C (N.B. 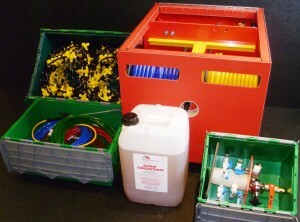 Hot Strip Fluid is not dilutable with water and requires a different method of application, it cannot be used through the Red Box. A separate, low cost pressurising system supplied by us must be used. 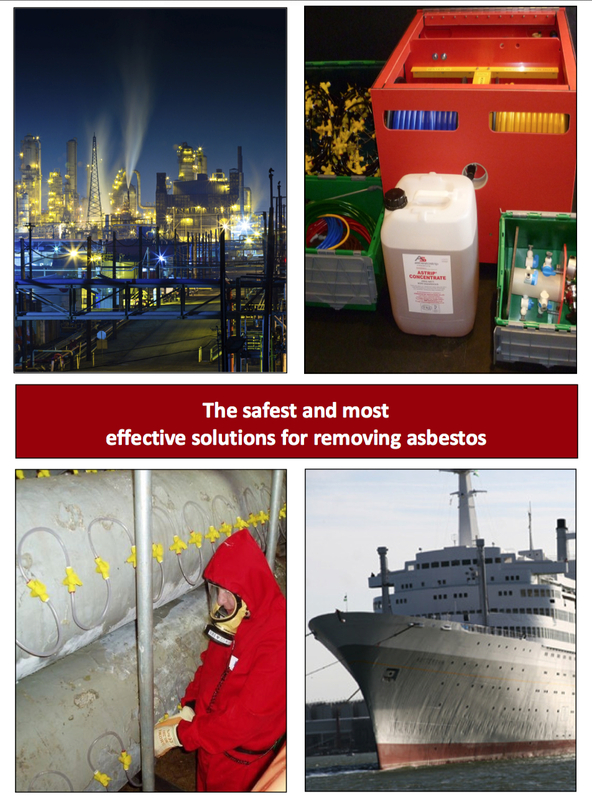 Two to eight point multiple sprayheads for wetting asbestos containing materials are available. 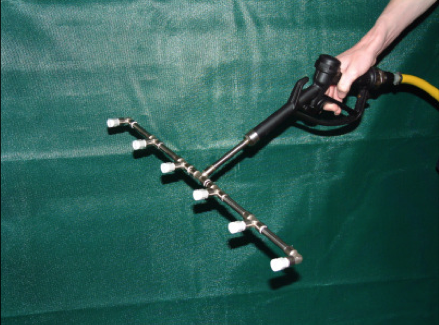 Our handsprays provide additional wetting within the enclosure for any dry areas that may still exist and they also act as an aid to final cleaning of stripped surfaces. A tool that has up to 50 bristles per square centimetre (350 per square inch) embedded into a pliable belt. 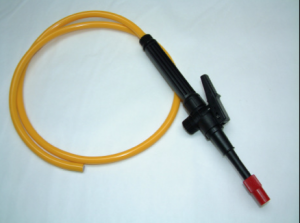 The tool is connected to the system supply manifold to aid pipe cleaning especially in difficult situations. 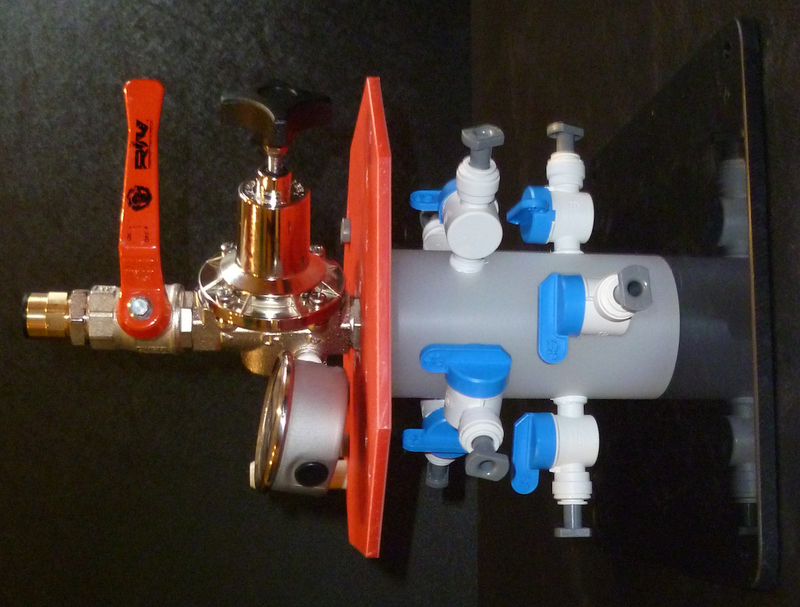 Additional manifolds are available to increase the number of injection points for particularly large projects. 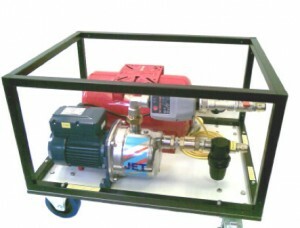 In cases of reduced water supply pressure, the use of a booster pump may be necessary. We offer a 110V (or 220V) water pressure booster pumps, which is supplied with all the necessary fittings and connections for use with the Safestrip System.